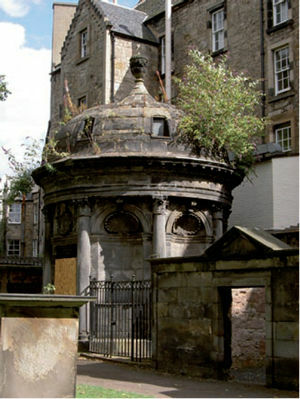 Historic buildings and monuments are liable to be affected by a wide variety of 'biological growth' ranging from the roots of mature trees that form part of a designed or natural landscape to micro-organisms that can be found on external and internal surfaces of building materials. Not all of these are harmful. The purpose of this article is to introduce the most common forms of biological growth and their effects on building fabric, and consider appropriate forms of management. Certain forms of biological growth can have a scarcity or rarity that must be taken into account when planning and implementing remedial work. 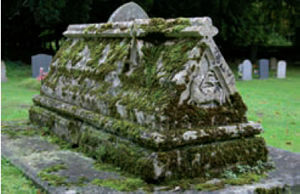 Where churchyards are concerned, there may also be a preference for conserving bio-diversity, including ferns and lichens on monuments. In addition, legislative protection may be in place for certain plants under the Wildlife and Countryside Act 1981 (as amended), and protected fauna may also be present in extensive vegetation growth. The presence of biological growth on buildings often provides a useful indicator of excess moisture, and investigation of the nature and extent of growth can highlight defects in the fabric. Damage may be caused by trees and larger shrubs in various ways, including root action on walls, foundations, pavings, monuments and below-ground drains; trunk and branch contact with walls and roofs; blockage of rainwater disposal systems by leaf fall; and shading of surfaces. The genus Buddleia, which includes deciduous, semi-evergreen or evergreen shrubs or trees, requires fertile, well-drained soil. 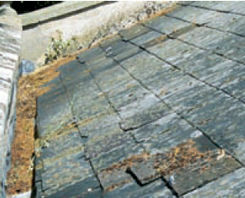 Growth is often seen at high level, such as chimneys and gutters, or where there is saturation of defective masonry. A proactive management regime may include felling, topping, lopping and/or selective pruning, subject to legislative protection. Removal of trees may result in the volumetric expansion of shrinkable soils (heave) and changes to sub-surface water levels. Where shrubs and trees have established themselves in built structures, such as in walls of buildings, it is essential that root systems and woody growth are dealt with thoroughly, preferably by removing them, as re-growth and compressible decay may result in damage. However, localised chemical treatment of root systems may be an acceptable alternative if extensive dismantling is to be avoided. Certain flowering plants such as Wallflowers (Cheiranthus) may be retained on the basis that shallow root action is accepted relative to enhanced aesthetic value. Extensive ivy growth to a redundant church building. Managed removal, including cutting through stems (as shown) was undertaken as the first stage in bringing this building back into beneficial use. This genus of evergreen, woody-stemmed trailing perennials and self-clinging climbers with adventitious rootlets prefers well-drained, alkaline soils, and species such as common English ivy (H helix) are commonly found on buildings and monuments. Aerial roots and woody growth can penetrate open joints causing displacement of bricks or stones, while with broken walling there is risk of the facing material being forced from the backing or core. Suckers and tendrils can damage surface features and leave a pattern of marks upon removal. Rainwater goods may become blocked and extensive growth can force gutters and other fixtures from the wall. The shading effect of extensive growth may also reduce moisture evaporation from wall surfaces. 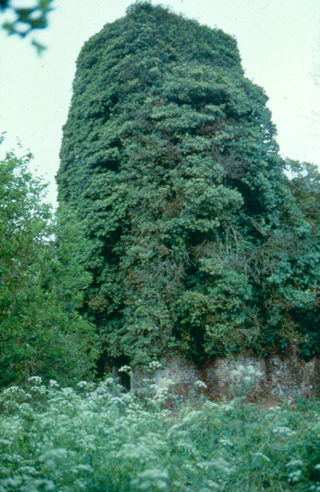 Mature ivy and creeper growth may be treated by cutting a section out from the main stem(s) and allowing the plant to die back naturally over a period of time. The parent stem(s) should also be treated using an appropriate chemical paste or crystal product. Physical removal of established growth can cause displacement and detachment of building fabric (such as flint facings). Woody growth and root systems, which may have penetrated into walling, must be removed as noted above. Use of sprayed chemical defoliants is often precluded due to the presence of agricultural crops or water course, together with health and safety issues associated with spray drift. Where decorative growth is to be retained on a wall it can be carefully isolated and reinstated on a system of trellising or support wires. Spacers should be used to maintain an air gap between wall surface and growth, and the plant pruned or trimmed away from eaves, gutters, and openings. Lichens are a symbiotic association of photosynthetic micro-organisms held in a mass of fungal hyphae, with growth in various shrublike (fruticose), leaf-like (foliose) or encrusting (crustose) forms. The photosynthetic partners are typically unicellular or filamentous green algae or cyanobacteria. The fungus usually gives the lichen its overall shape and structure, with the algae or cyanobacteria present just below the lichen surface. In such a symbiotic relationship, the algae provide carbon compounds, the cyanobacteria fix nitrogen and provide organic nitrogen, and the fungi provide a suitable environment for growth. The hyphae retain moisture and minerals, and the fungi secrete acids that aid the uptake of minerals. The presence of lichen on roof coverings and wall surfaces often has aesthetic appeal and can contribute to the appearance of the building or monument. Growth can, however, cause deterioration of sheet metals (such as copper and lead flashings and roof coverings) and other inorganic materials, and assist in the colonisation of surfaces by mosses, and other plants. Inscriptions on headstones and monuments may also become unreadable. Management of lichens, where acceptable, can be achieved on small areas by physical removal. Chemical control using appropriate biocidal products may also be appropriate, but generally they should only be considered in exceptional circumstances. 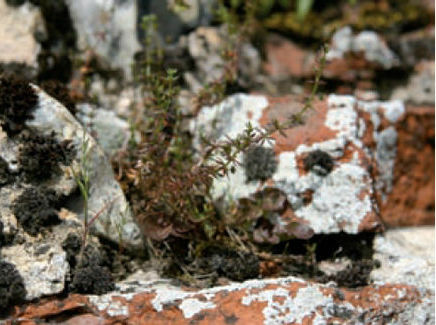 There may be a presumption in favour of retaining established lichen growth on surfaces during repair or maintenance works (such as re-pointing open and/or defective joints), and advice should be sought on identification and suitable action from the diocesan ecological adviser or local wildlife organisation. Essential reading on the treatment of lichens includes Control of Lichens, Moulds and Similar Growths (BRE, 1992) and Control of Biological Growths on Stone (BRE, 1995). The Norwich diocese has a policy for conserving stonework plants during work to churches (Norwich DAC, 1996). Mosses are an example of a non-vascular plant (Bryophytes), which, unlike larger plants, do not have vascular tissue to transport water and nutrients. Other non-vascular plants include liverworts and hornworts. Mosses are particularly common and widespread, with the wetland genus Sphagnum forming deposits of partially decayed organic matter commonly known as peat. Mosses are typically green and photosynthetic when young, turning brown or red-brown when ready to release spores. Like lichens, mosses can contribute to the overall character and appearance of historic fabric. 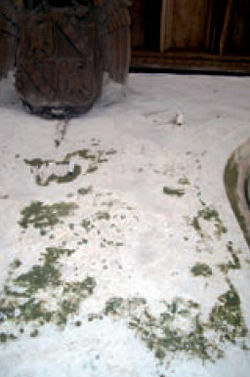 Their presence on porous materials such as roofing tiles can, however, result in frost-related damage and large growths can restrict moisture evaporation. Deposition of mosses may also block rainwater disposal systems. Mosses may be successfully managed by physical removal on small areas and/or controlled by application of appropriate biocidal products. Fungi (heterotrophs) cannot make their own food as plants and algae can, nor can they ingest food. Instead they digest their food while still in the environment by secreting enzymes that break down molecules into smaller compounds that may be absorbed. Species may live as decomposers (saprobes), parasites and symbionts, with saprobic fungi breaking down and absorbing nutrients from non-living organic material. Fungi associated with timber decay in buildings may be divided into brown rots and white rots. Brown rots, such as Dry Rot (Serpula lacrymans) and Cellar Fungus (Coniophora puteana), destroy cellulose and cause darkening of the decayed timber, while white rots, including Oak Rot (Donkioporia expansa), digest cellulose and lignin that results in lightening of the decayed timber. Moulds, which appear as a coloured mass of spores and pigmented hyphae, are an imperfect form of higher fungi. These feed on free sugars on the timber or on surface deposits, and produce powdery spores that may constitute a health hazard. Essential reading on the identification and treatment of fungi, which is beyond the scope of this article, includes Recognising Wood Rot and Insect Damage in Buildings (Bravery, Berry, Carey & Cooper, 3rd ed, 2003) and Timber Decay in Buildings: The Conservation Approach to Treatment (Ridout, 2000). Algae are 'protists', a photosynthetic, plantlike organism that is not a plant, animal or fungus. Most protists are unicellular, although some are colonial or multicellular. The largest and most complex algae are brown (phaeophytes) and red (rhodophytes) algae, which include many species commonly known as seaweeds. Green algae are closely related to land plants and are divided into two main groups - chlorophytes and charophyceans. Chlorophytes may live symbiotically with fungi as lichens. Treatment includes eliminating sources of excess moisture and removing surface growths. While initially considered as fungi using fruiting bodies to disperse spores, slime moulds (mycetozoans) are now considered in the Amoebozoa group of species and identified either as plasmodial or cellular slime moulds with distinguishing life cycles. Slime moulds consume bacteria within affected timber and become visible on the surface when producing fruiting bodies. Treatment includes eliminating sources of excess moisture and removing surface growths. Cyanobacteria are the only prokaryotes with plant-like, oxygen-generating photosynthesis. They occur in abundance where there is water. Metabolic co-operation in some prokaryotic species may occur in surface-coating colonies (biofilms). Treatment includes eliminating sources of excess moisture and removing surface growths. Biological growth can enhance the appearance and character of buildings and structural monuments, but certain species can cause direct and indirect damage to materials and elements of construction. Managing such growth requires consideration of various factors and an assessment of risk that balances actual and potential damage against ecological and aesthetic benefits. Legislative protection may restrict or remove treatment options. The key to avoiding damage, while retaining a level of external vegetation, lies in planned preventive maintenance, particularly with regard to rainwater disposal systems and proactive trimming or pruning or plant growth. 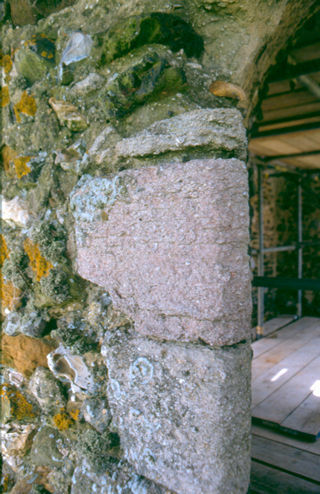 Internally, where biological and microbiological growths typically indicate past or present problems of excess moisture, treatment must be carried out with an appreciation of environmental factors (temperature, humidity, health hazards) and the likely effects of growth and removal on often sensitive surface layers and materials (including wall paintings and funerary monuments). The effects of climate change need also to be considered in the longer term, particularly in relation to environmental conditions (such as increased relative humidity), plant growth patterns, soil moisture content, and the performance of existing rainwater disposal systems. For further information, see Climate Change and the Historic Environment (Cassar, 2005). Useful guidance on flora and fauna in relation to buildings is available in Wildlife and Buildings: Technical Guidance for Architects, Builders, Building Managers and Others (National Trust, 2001). For a wider coverage of plant forms and ecology, see Biology (Campbell and Reece, 7th ed, 2005), which has been used in writing this article. DAVID WATT is a chartered building surveyor and historic buildings consultant, working as Associate Director with Hutton + Rostron Environmental Investigations Limited. He is co-author of Surveying Historic Buildings and Measurement and Recording of Historic Buildings, author of Building Pathology: Principles and Practice, and was editor of the Journal of Architectural Conservation for ten years until 2005.